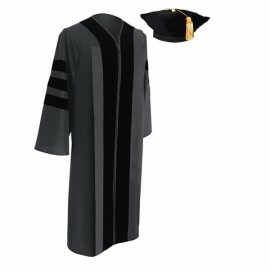 The doctoral Tam and Gown packages are ideally put together to accommodate your academic doctoral regalia for your commencement ceremony and offered by Gradshop at affordable discount prices. 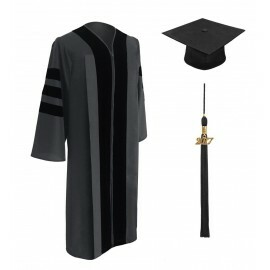 We take pride in providing you this excellent quality academic package of doctoral gown, made from high quality poly/cotton and beautifully enhanced velvet trim and the traditional velvet doctoral Tam includes the sophisticated gold bullion tassel. 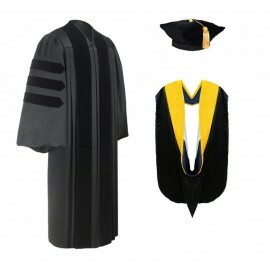 We also offer the doctoral gown and hood package in the same supreme quality. 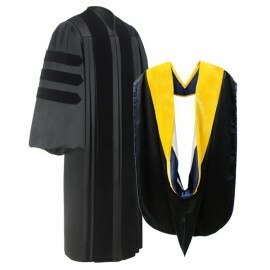 All made with the elegance and tradition that the PhD degree graduate deserves. 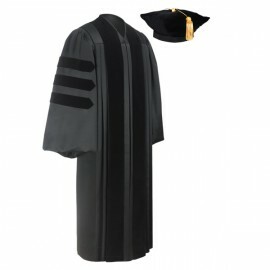 You may want to purchase your academic regalia items separately which is why we have options to order the doctoral hoods, doctoral Beefeaters, doctoral Tams and gowns individually. All options are to accommodate your every requirement to enhance your important graduation ceremony.